Fried chicken isn’t just southern comfort food. New Jersey knows how to do this classic American staple right. 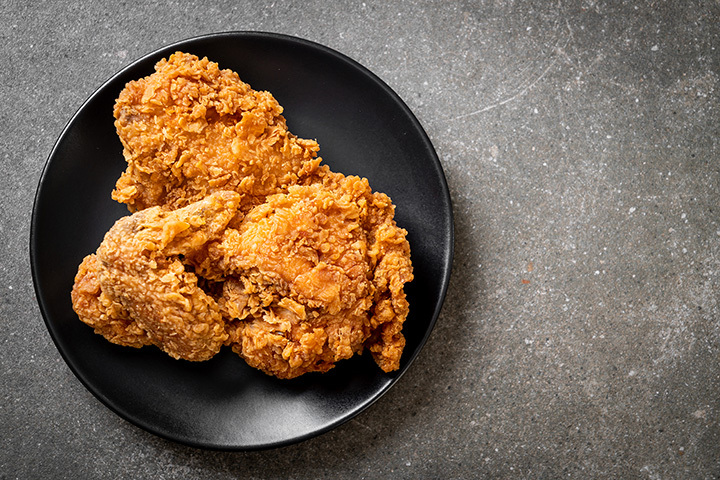 Making the perfect fried chicken is a delicate art that requires a balance of crispiness, tenderness, juiciness, and the right blend of seasonings to make it mouthwatering. Prepare your taste buds: these 10 best places for fried chicken in New Jersey rival what you’d find in the south. It's not hard to see why this award-winning chicken joint is one of the best in the state. Everything from taste to quality to pricing is spot-on. From various flavors of wings to complete chicken dinners to bulk-size buckets of chicken to feed a whole group, you've got plenty of options to sate your chicken cravings. This family-owned chicken palace combines the classic taste of fried chicken with traditional Dominican Cuisine for an experience you can't find just anywhere. They use tried-and-true secret family recipes combined with down-home service, along with all the fixings you need for an amazing meal. They've been serving the community for over 40 years, proving their expertise in the fried chicken business. Who would have thought that a place that specialized in awesome pizzas could do fried chicken equally well? It's true! This 24-hour chicken joint specializes in halal poultry among other tasty concoctions you can't find just anywhere. Plus, the portion you get for the price simply can't be beaten. Best late-night chicken spot makes it easy to soothe your chicken cravings around your schedule. From chicken to wings to tenders and all your favorite sides, there's no way you're walking away hungry. They also offer online ordering and delivery. Their special Family Recipes are what make this place truly special. They've created some mouth-watering fried chicken you're almost guaranteed to dream about. The options here are seemingly endless, including wings, nuggets, sandwiches, buckets of chicken, and all the sides to make your meal complete. The best world of fried chicken and pizza live in harmony under the same roof, giving foodies every reason to celebrate. Their fried chicken is nothing short of crispy and delicious, made with a homemade breading and fried to perfection. They make their chicken to order so you can expect nothing but the best flavor and quality. A unique Korean twist on this southern staple is one you'll want to try more than once. They're known for their soy garlic flavor infused in every crispy and delicious piece of fried chicken. In fact, their entire process, from a light batter coating to their double frying method, makes them one of the most unique places in the state for fried chicken. One bite of their savory fried chicken and you'll feel like every day is a vacation. They use a specialized process to lock in the juices to give it a mouth-watering, delightful flavor. With multiple locations and a nearly 50-year track record, you know the eating here is good. This place is a part of New Jersey history, with over 40 years of chicken-frying experience under their wings. Crispy and savory, their fried chicken is every bit as good as what you find in a southern kitchen. Take your pick of bone-in chicken, family meals, wings, tenders, nuggets, wraps, and sandwiches so you can have your chicken your way. When it comes to comfort food, this fried chicken is the real deal. They use authentic southern-inspired recipes in their chicken fingers, baked chicken, and bone-in fried chicken that taste every bit as good as grandma used to make. Open for lunch and dinner six days a week, you can eat your fill of their amazing fried chicken just about whenever you please.